You guys. I have an announcement.... HIS EYES ARE REAL! No lie. These are the brightest and bluest eyes I have seen! Absolutely adorable! He loves to take in the surroundings and is inquisitive, but we got a few smiles from him too! 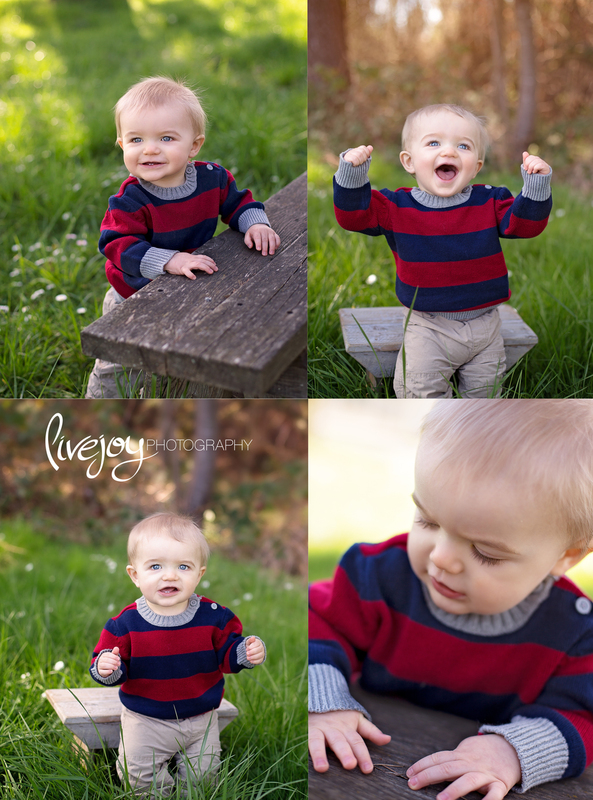 This is my 3rd session with him, and its like a time capsule watching him grow up in pictures! Just incredible how much changes in a year. From a Newborn, to a Cake Smash! It's almost like time FLEW by.